Anyone can throw a ball “over-hand,” but not everyone can do it well. While throwing a ball appears simple, it is actually a complex set of movements. 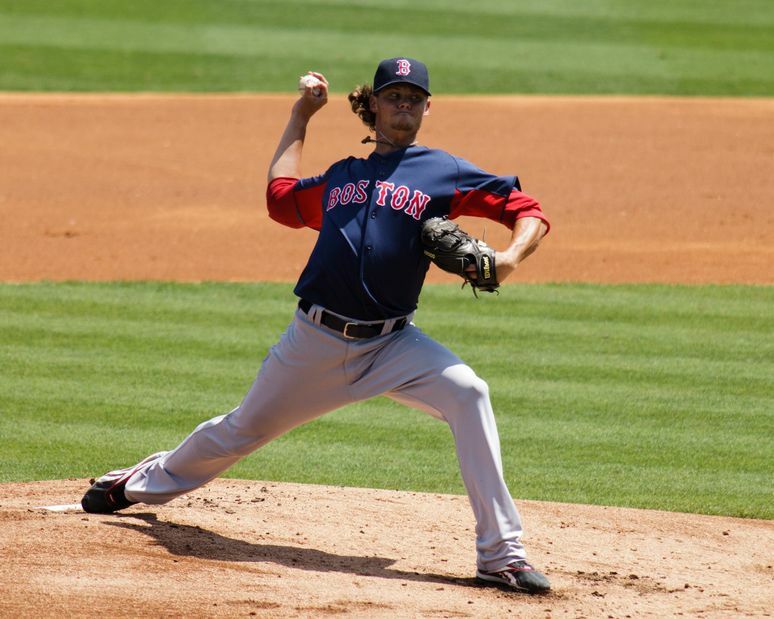 Accurate pitching with force or speed requires the entire body and not just the shoulder and arm. Every part of the musculoskeletal system is literally involved. If any of these movements “break down,” they can make the ball go somewhere that it is not intended to go. Many studies have been performed on the mechanics of throwing a ball with arm motions above shoulder level or “over-hand.” Researchers identify four to five specific phases of movement that occur during the act of throwing a ball. For the purpose of this blog we will consider five phases of throwing mechanics. First, let’s review the structure of the shoulder and its role in throwing. The shoulder joint is comprised of three bones, scapulae, clavicle and humerus. The head of the humerus rests on the Glenoid fossa of the scapula where it articulates when the muscles of the shoulder contract to move the arm. The head is held “against” the glenoid surface via the four Rotator Cuff (RTC) muscles, which act in unison and form a force couple when the arm is moved. The shape of the shoulder joint is ideal for mobility and motion, but not stability. The further the shoulder can be externally rotated while it is abducted, the greater the ball can be thrown with force and speed, providing all other body parts and movements are in synch. If any aspect of these mechanics is “off,” an injury can occur to the shoulder or elbow that can lead to the inability to throw a ball. The entire motion of throwing a ball takes approximately 2 seconds to complete, and the wind up consumes almost 1.5 seconds of that time. It is the beginning of the throwing motion, preparing the “body parts” for the act of throwing a ball. Motion occurs in the lower extremities and torso where the vast majority of “power” to throw a ball is generated. 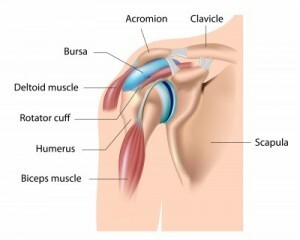 In this phase, the shoulder musculature is minimally active. This phase prepares the arm to be able to throw the ball. The posterior shoulder musculature is extremely active and the position of the shoulder is in extreme external rotation. This shoulder position places the anterior upper quadrant musculature on a “stretch” and prepares it to contract forcefully when the arm begins to move forward in the next phase of the throwing motion. The body begins to move forward towards its target during this phase. The lead shoulder is directed at the target and the throwing arm continues to move into extreme external rotation. Now the throwing arm moves forward to actually throw the ball to the target. The anterior upper quadrant muscles are concentrically active and begin to move the arm from extreme external rotation to internal rotation. As the ball moves forward towards the target, the speed of rotation of the humeral head can exceed 7000+ degrees per second. Proper body mechanics places the shoulder in the proper position during the acceleration phase to generate great velocity and accuracy without causing an injury to the throwing shoulder. The end of this phase is marked by the release of the ball out of the thrower’s hand. When the ball is released, the posterior quadrant musculature begins to contract eccentrically and violently to slow down and control the rotational speed of the Humeral head. In theory, if the eccentric control of the Humeral head did not occur the arm would continue to rotate internally and “spin” out of control. Injuries to the throwing shoulder can occur during this phase. The amount of eccentric contractile force that occurs can damage the posterior musculature if they are not trained properly. The final phase of throwing is the follow-through. This phase slows down all body motions and stops the forward movement of the body. The body comes to rest, and the muscle activity returns to a quiet state. If this phase is completed correctly, the thrower’s body position is “under control” and balanced. Throwing a ball “over-hand” involves movement in all parts of the body. If the mechanics are performed properly, the ball can be thrown with great velocity and accuracy. If the body is trained correctly, the act of throwing can be performed repetitively without causing an injury to the throwing shoulder.